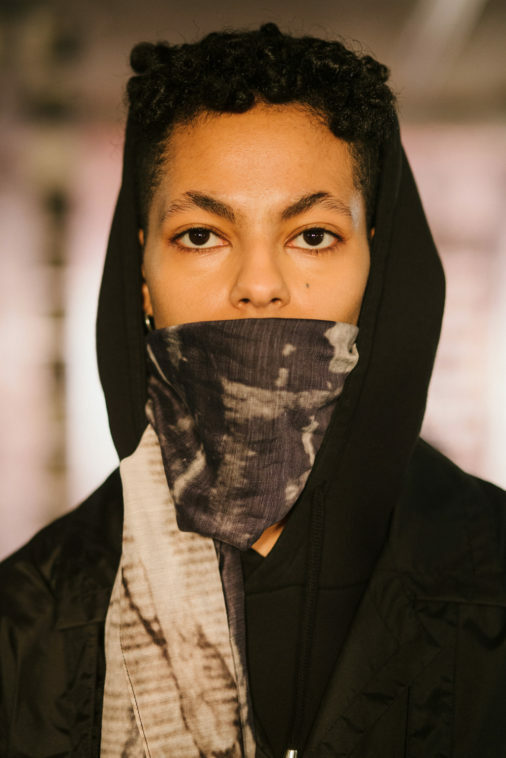 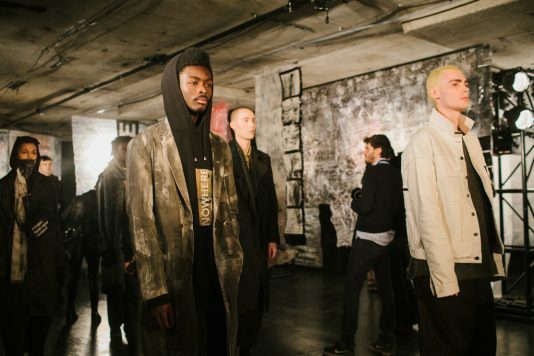 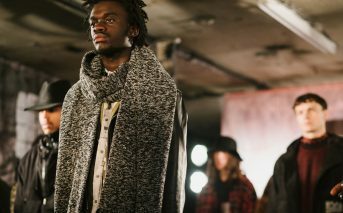 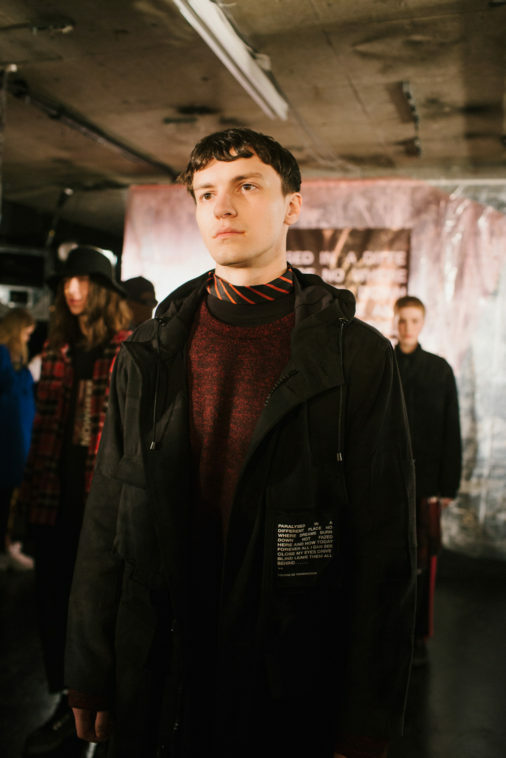 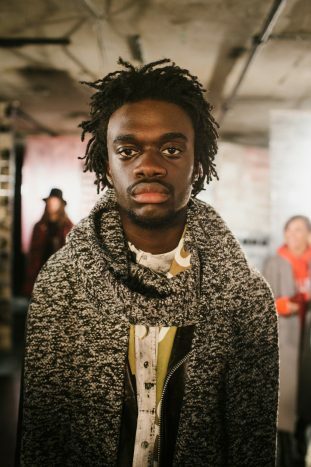 Tourne de Transmission presented their autumn/winter 2017 collection with a striking display at the BFC Presentation Space on day two of London Fashion Week Men’s. 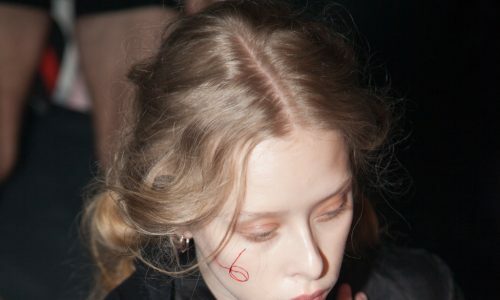 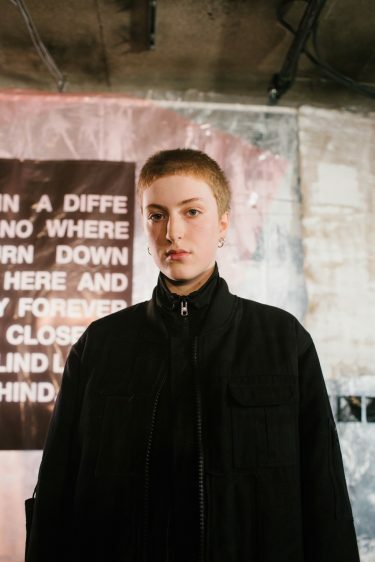 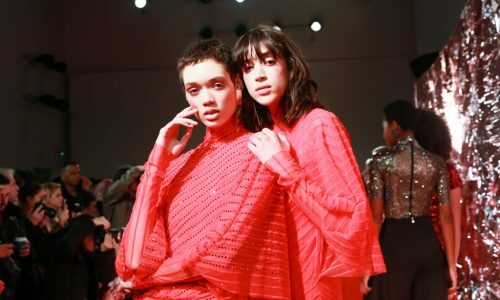 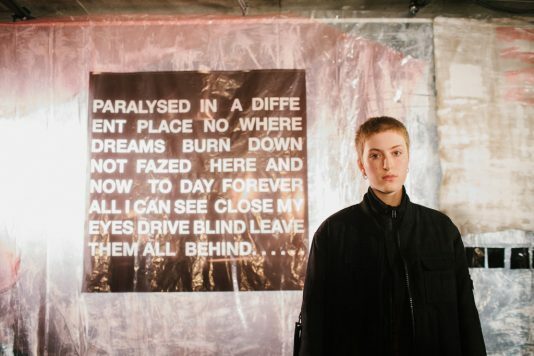 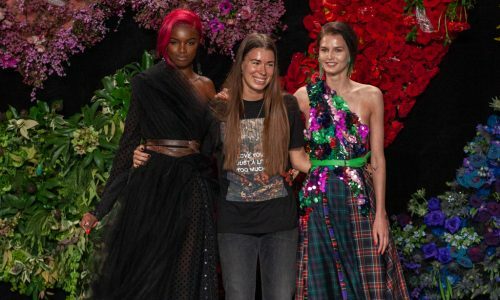 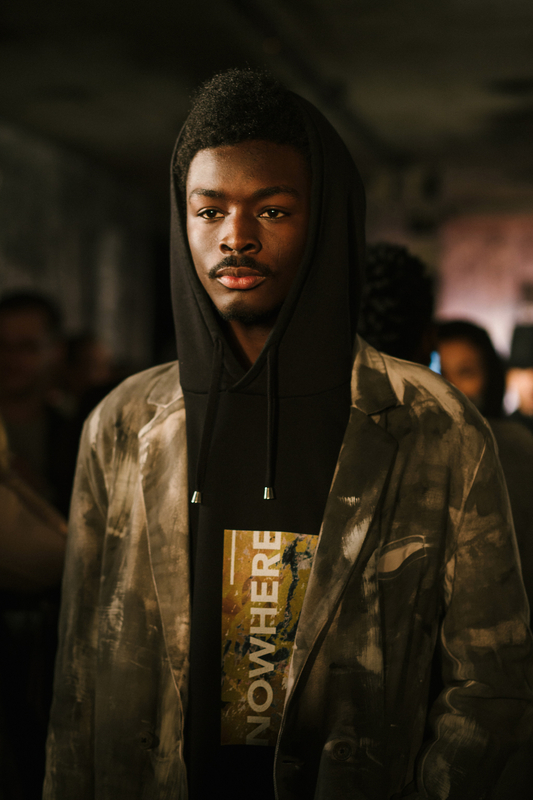 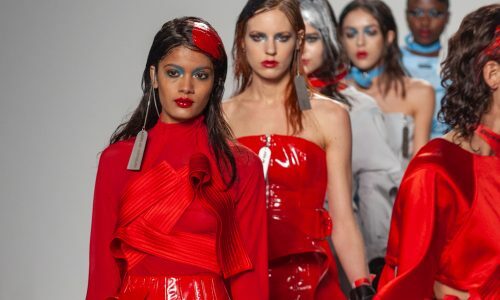 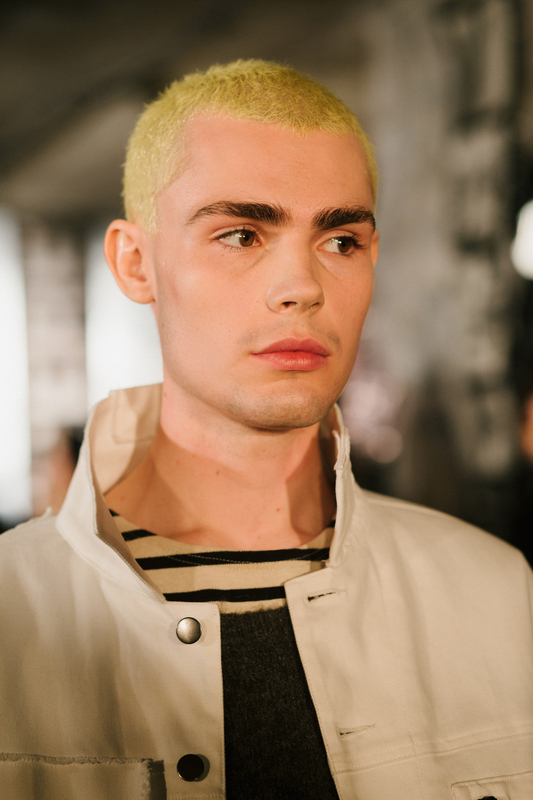 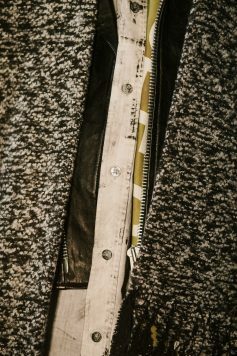 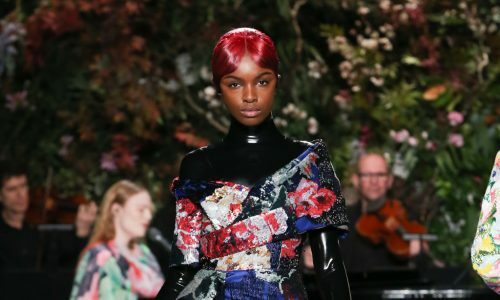 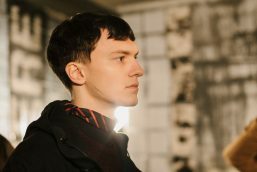 Intentionally-crumpled handouts detailed the ethos and inspiration for the new line, namely creative director, Graeme Gaughan, cited his own renewed introspection as a point of departure. 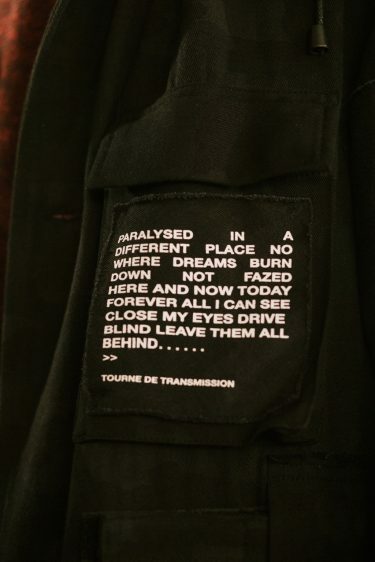 In particular he harked back to the lyrics of track Nowhere from band Ride, capturing a “frustrated inability to change a bigger situation” he felt then and now: “And all that’s left is you and me and here we are…nowhere.” It is this theme of nowhere that permeates the selection, a new look in the present through the eyes of the past, Gaughan’s adolescent self reflecting on the political division and loss of cultural icons of the current day. 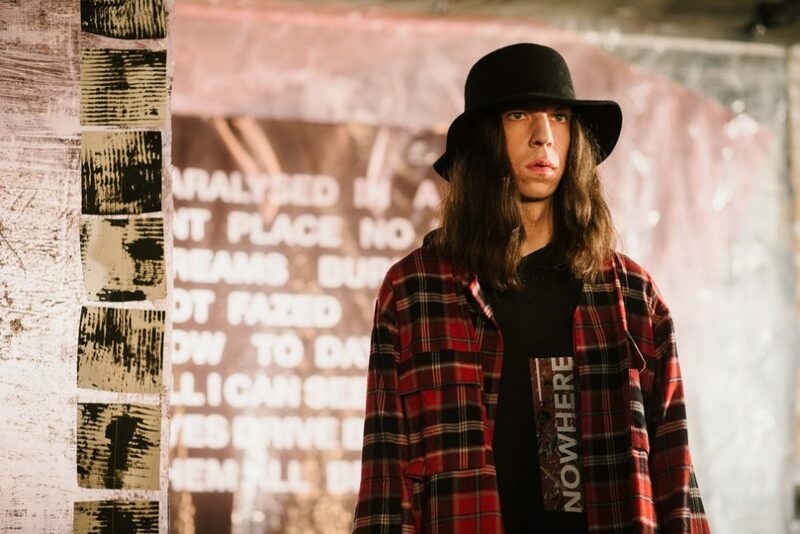 This approach of combining and reacting to words and ingraining a form of social consciousness in his work characterises his idiosyncratic approach. The brand name Tourne de Transmission itself (literally translating as “rotating transmission”) aims to analogise a process of combining word and image to create a message. 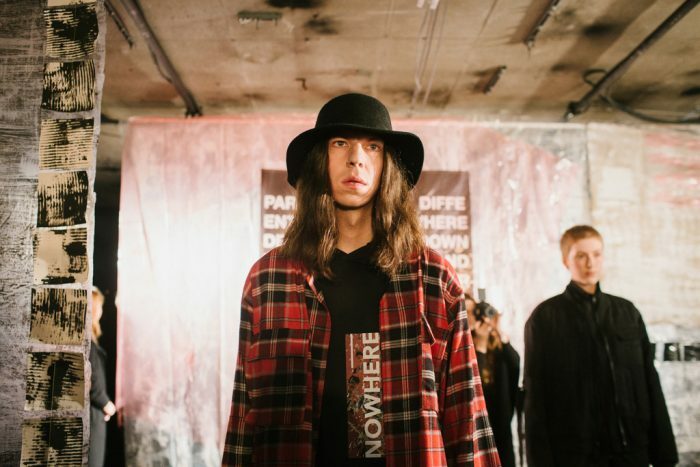 The presentation of the collection encapsulated this with rows of models displaying his separates against a light installation illuminating text around the concept of “nowhere”. 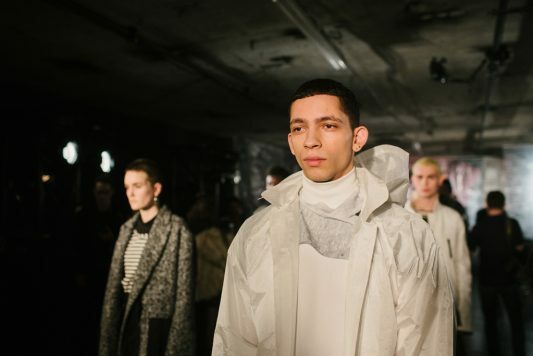 His statement look comprised a super lightweight floor-length white mac, matching trousers and a sheer white roll neck. 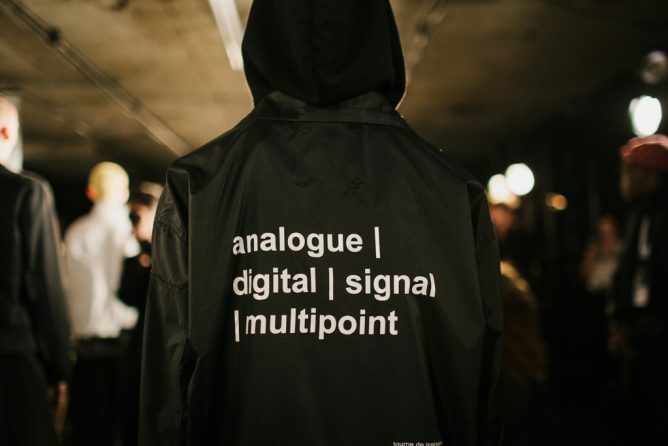 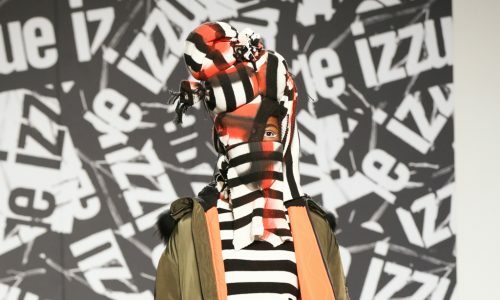 Other outfits were more explicit in their messaging, incorporating capitalised “NOWHERE” in bold, white lettering or his trademark “analogue | digital | signal | multipoint” text. 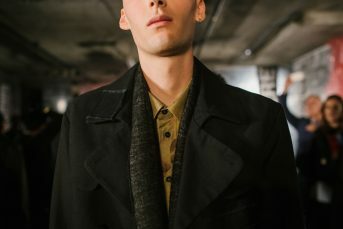 Influences of rock and punk were evident in the slogan T-shirts, checked shirts, and wide-legged cut-off black trousers revealing red socks, while a smart leather jacket layered over a long white shirt worn with a woollen scarf demonstrated a softer, more mature edge. 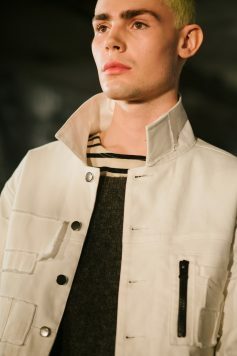 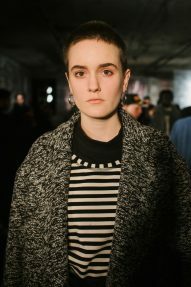 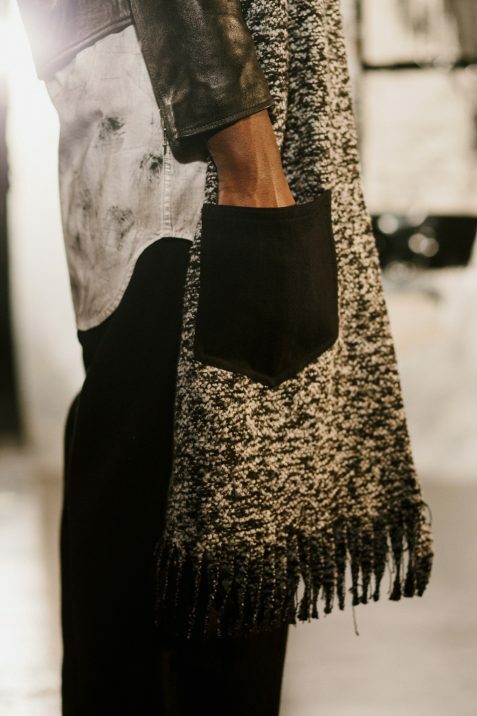 Weaved in women’s designs, including a long woollen coat, striped tee and high-waisted trousers, had an overall androgynous effect to the display, with little distinction in the styling. 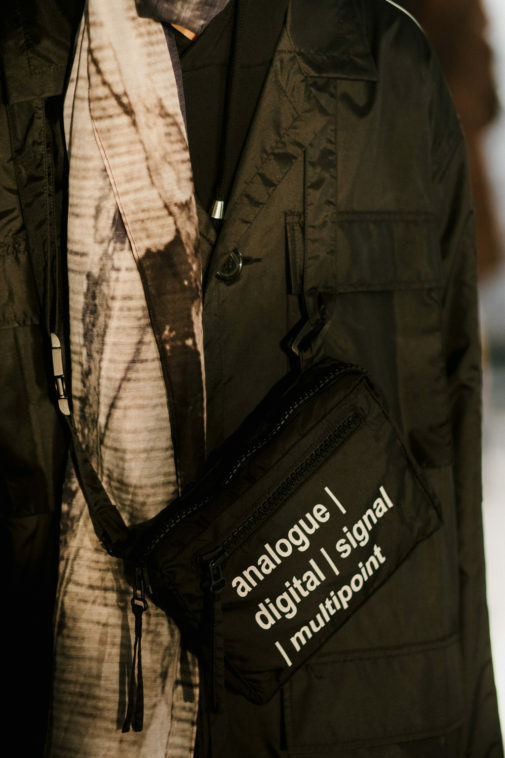 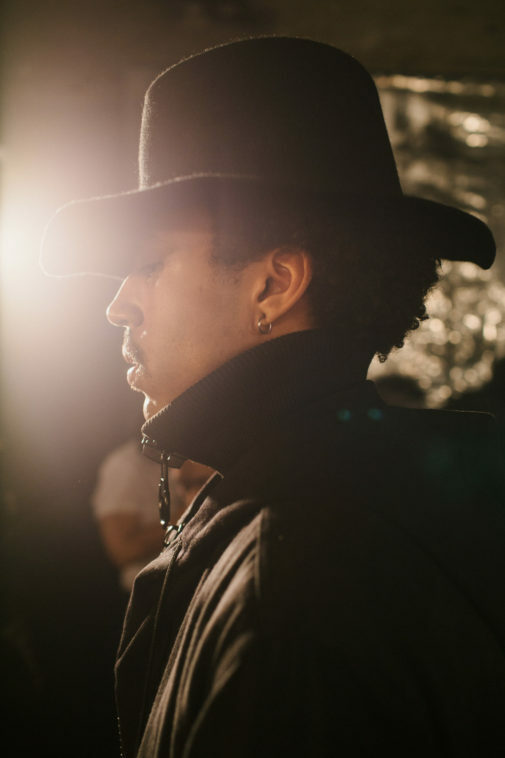 Cameo print, statement black hats and hoods further instilled as sense of the alternative. 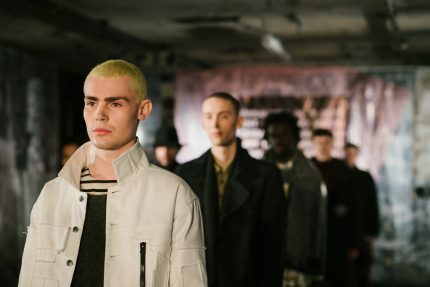 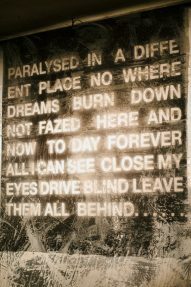 Overall, Graeme Gaughan’s urban collection provided an evocative amalgamation of word and aesthetic, though perhaps more nostalgically preoccupied with a lost past than looking hopefully toward a potential future.